← HIDE YOUR KIDS. HIDE YOUR WIFE. I haven been working on a residence in Dallas for a few months now. Kristin and Nick have a very open floor plan with rooms that flow from one space to the next. They have tall ceilings, concrete floors and a wall of windows. The challenge came in maintaining that open feel but still being able to create individual spaces. A great way to do this is to add area rugs. 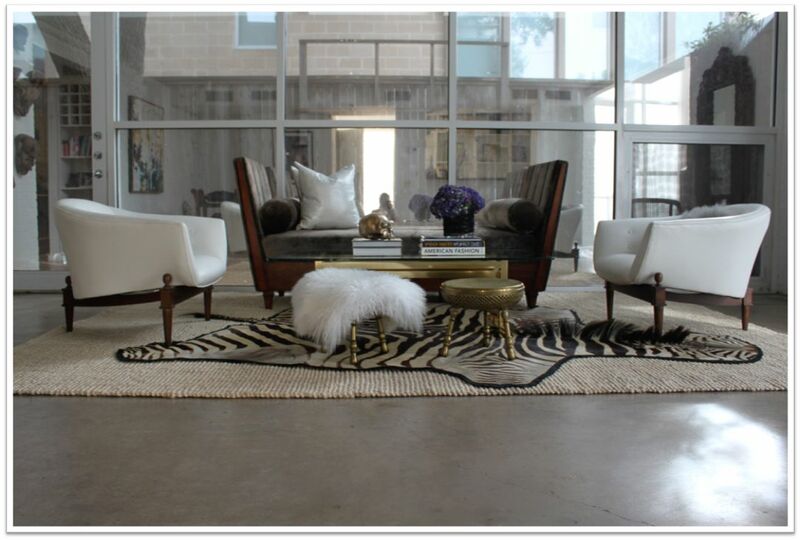 Rugs set a boundary and create a space within a larger space. Before this space was a walkway from the front staircase to the living room. 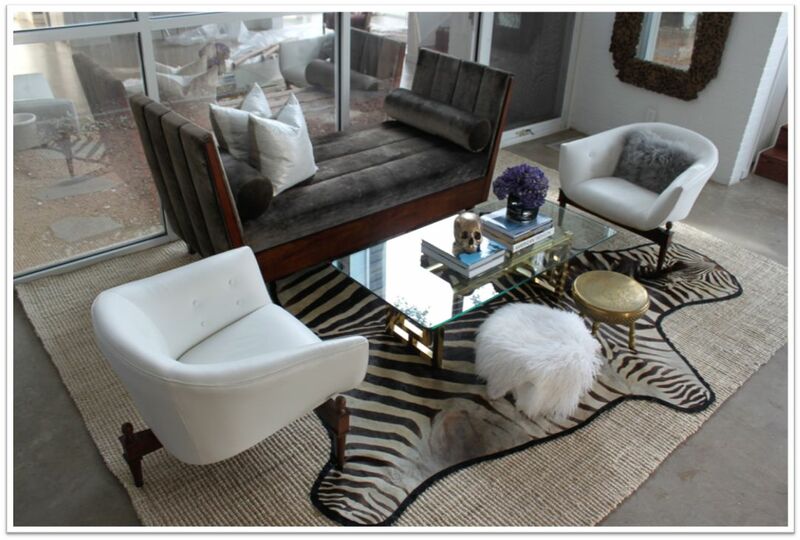 By putting the rug against the windows and adding a small sitting area, they were able to gain a second living room. This area is almost complete and it looks great! 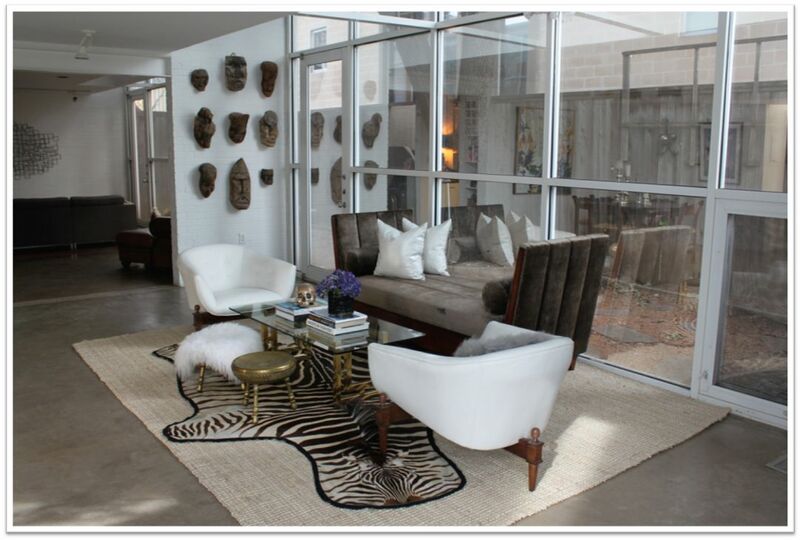 My favorite addition is the gold skull we found at Gold Market Recyclers in Dallas. The sofa and chairs are from Global Views, jute rug from West Elm, Moroccan stools from 1st Dibs, rug from Taxidermy King, coffee table from White Elephant and pillows from Calypso Home. 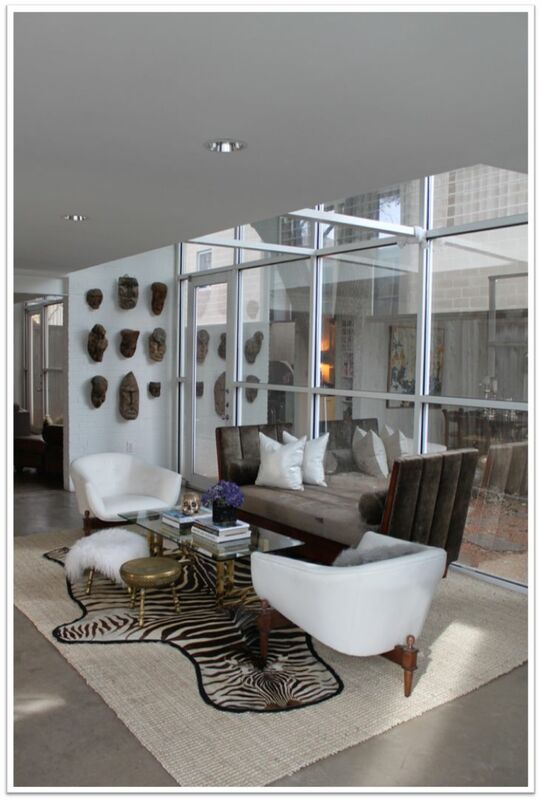 This entry was posted in Architecture, Design, Rug, Uncategorized and tagged dallas, global views, hide rug, white walls. Bookmark the permalink. Love it!!! You have done a fabulous job! You rocked it, as usual!! !